There are many ways to define Microsoft Corporation! For the basic user, Microsoft is the company behind Windows Operating System and several other software! For developers, Microsoft brings a platform that lets them create a big variety of tools and utilities, ranging from the basic text editors to high-end video editing suites. For the gadget freak guys out there, Microsoft is the reason why they have Surface tablets and Lumia Smartphones. We cannot complain if someone calls Microsoft “a centralized provider of digital life.” From Smartphones to PCs and from documents to serious gaming, you can have the wider range of products from Microsoft Corporation. Despite all these, there are some interesting facts about Microsoft when we consider it as a technology company! If you are a Microsoft fan or someone seeking a job at the firm, you will be interested in knowing more Microsoft facts! 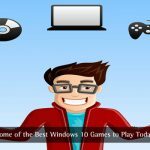 In this article, we have listed the top 15 fun facts about Microsoft. Shall we start? You might be familiar with the Android codenames, such as Gingerbread and Marshmallow! However, even before it happened, Microsoft is accustomed to the habit of giving code-names for its projects, which it continues. Though the list goes back to some unknown projects, we can start from Windows XP, which was code-named as Whistler. It was named after Whistler, British Columbia — a place known for design retreats. There is the name Blackcomb for Windows 7 and Threshold for Windows 8.1. The latest code-name we can draw in the common products sector is Spartan – a name given to Microsoft Edge browser. The latest update to Windows 10 is called Redstone. So, in case if you were planning to drop out of college and move on with your start-up, you have a better inspiration. As it has become quite popular, Bill Gates had to drop out of Harvard University to get started with Micro-Soft. As of now, we have become familiar the name ‘Microsoft’ without hyphen! However, during the starting times of the company, the name was ‘Micro-Soft’. The name was the portmanteau of Microcomputer and Software. In the course of time, the hyphen was exempted from the name, thus giving a three-syllable, single-word brand name. For those who thought it was ‘Microsoft’ from the beginning, this would be an interesting fact about Microsoft. It’s quite guessable from the nature of the company, which brings to the forefront an impressive number of newer technologies and products. Even then, in case if you did not know, Microsoft has more than 10000 patents and has a position among the top five patent holders in the United States of America. Quite naturally, the number is becoming big as each day passes. The list includes patents taken for software products, devices and other several services. As it can be understood, there are more products in the backstage of Microsoft Corporation and the huge number is very natural. Like any other successful company out there, Microsoft also had a strong bond of friendship to back it! As you know, the company was founded by Bill Gates and Paul Allen, who were childhood friends. As if that wasn’t enough, Gates married Melinda French, who happened to be an employee of Microsoft. The bond of friendship and relations was not over after the inception. Steve Balmer, one of the noted CEOs of Microsoft, was a college mate of Bill Gates. In case if you did not know, a Microsoft employee is called ‘Softie’ — perhaps the best name for one is working in a big company like this. There is a huge number of softies working in Microsoft an average employee receives a salary of $108000, which is really huge. We are talking about the average ones in the development sector, and the amount would become high as we move on to other sectors. If you were thinking Windows or MS-DOS was the first product of Microsoft, you are wrong! Xenix was the first OS that was developed and distributed by Microsoft Corporation. This was actually a re-branded version of UNIX. The OS did not give a great time for Microsoft, but it was really worth the start. Ranging from sculptures, paintings and others, Microsoft Corporation owns an impressive number of artworks. It’s a practice based on the theory that placing such artworks in the workspace can be quite effective in reducing the stress of employees and in enhancing their productivity. 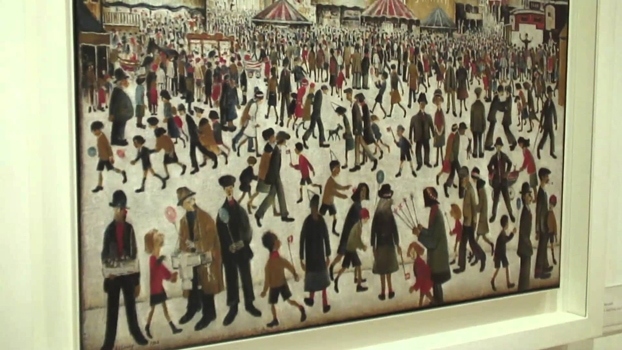 The artwork collection is a regularly updated one and it has its place in the Microsoft campuses. This becomes an interesting fact because Microsoft should have rather kept a collection of notable computer hardware ;) — if it were a normal firm. Microsoft, like many other multi-national tech firms, is noted for providing a superb working environment for those employees, in different campuses around the globe. So, when you are becoming a Microsoft employee, you don’t have to spend an extra dollar when you’re feeling thirsty. There will be a collection of a variety of drinks in the campus and employees are free to choose what they want. As per what the stats say, most Microsoft employees go for Milk and Orange Juice. Along with the drinks, employees get free candies — what a way to treat employees, Microsoft! Microsoft is noted for making legal issues and seeing other individuals and companies! Not only that, it was bright to get rid of the lawsuits it had faced from Apple Inc regarding the copying of GUI and Tiled windows. So, even now, the company is quite active when it comes to legal suites and their execution, thus ensuring its position as an all-rounder tech-giant. Quite notably, legal battles of Microsoft often deal with assuring monopoly in the industry — that is, the elimination of competitors. There are different ways to celebrate your work anniversary. However, in Microsoft workplaces, an employee has to bring a pound of M&M — those button-shaped candies that are manufactured by Mars — depending on the number of years the employee has been working for. That is, if you have been working in Microsoft for five years, you need to bring five pounds of M&M. That’s an interesting in-house tradition, isn’t that? In case if you did not know, Microsoft had purchased another company before the tech-giant came up with MS-DOS, which is the acronym for Microsoft Disk Operating System. On the 27th of July 1981, QDOS — Quick and Dirty Operating System — was acquired by Microsoft and the firm was given a value of $25000. Several changes were made to the OS and were brought into a fully fledged Operating System — namely MS-DOS. It was launched along with IBMP PC/XT and the IBM-made device was running on this then brand-new OS from Microsoft Corporation. We already told you that Microsoft is known for providing free drinks to its employees. However, this free aspect can never be seen in the case of food. That having said, cafeterias are there everywhere in Microsoft campuses and they are supposed to feed a huge number of employees every day. 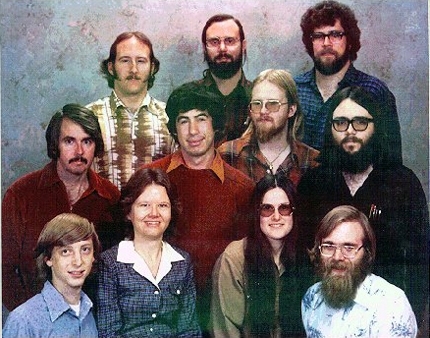 According to the statistics, the favorite food of the Microsoft employees is Pizza. These cafeterias are fully fledged and have enough capacity to take care of employees in one campus. And, last but not the least; Microsoft does not compromise when it comes to quality and availability of good food in the workspace. So, suppose you want to get a job in Microsoft. Even when you have passed the qualifications and exams, there is a bigger thing to finish off — the interviews. The fun fact about Microsoft interviews is that you can expect any kind of question from the firm. 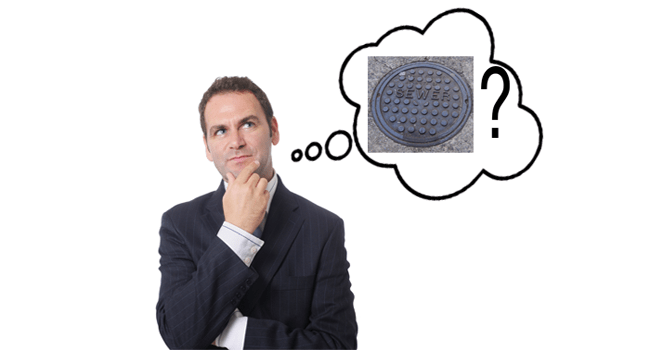 It might be about the common thing like a manhole or something else. So, even if you are up for a code-rich job such as developer, you may not find many questions about your domain of knowledge. Instead of that, those on the interview board would test the logic, sense and the other basics of the want-to-be employee. The rumor mills have it that this unexpected-questions trend was first set by Microsoft and then brought into the pop-culture by Google and others. The acquisition is a common thing when it comes to the business culture of Microsoft. In the course of time, Microsoft has acquired more than 190 companies, from different categories and sectors. Hotmail and Skype are the notable things that Microsoft acquired in the given time-period and both were beneficial — needless to say. According to Wikipedia records, the latest acquisition was done on 24th February of 2016 and the turn was of Xamarin, which is a start-up for mobile application development. 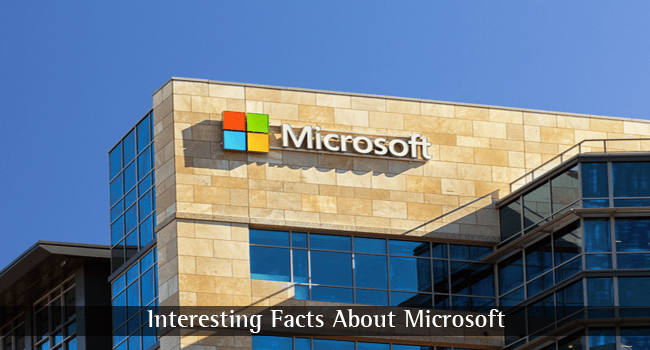 Well, now we have covered top 15 interesting facts about Microsoft Corporation! As the company proceeds to stay as the tech giant, we will have more and more fun facts to talk about — which surely we will. Well these facts are indeed interesting and I guess I’ll make sure to note it down since I never heard of this yet. Nice list of facts but I would like to add one more. Microsoft got into a legal dispute with a student at Canadian Belmont High School named Mike Rowe over the domain name MikeRoweSoft.com then the issue got settled for a XBOX. Wow, nice post. Something really interesting to read, I was really not aware of the ‘micro-soft’. The only fact I knew was that Bill Gates was a college dropout and rest of other facts are very new to me. Thanks, Abhijith. I was really not aware of the ‘micro-soft’, but is very interesting reading this one.